she can quilt: September Scraptastic Tuesday - We're back, join us this month! 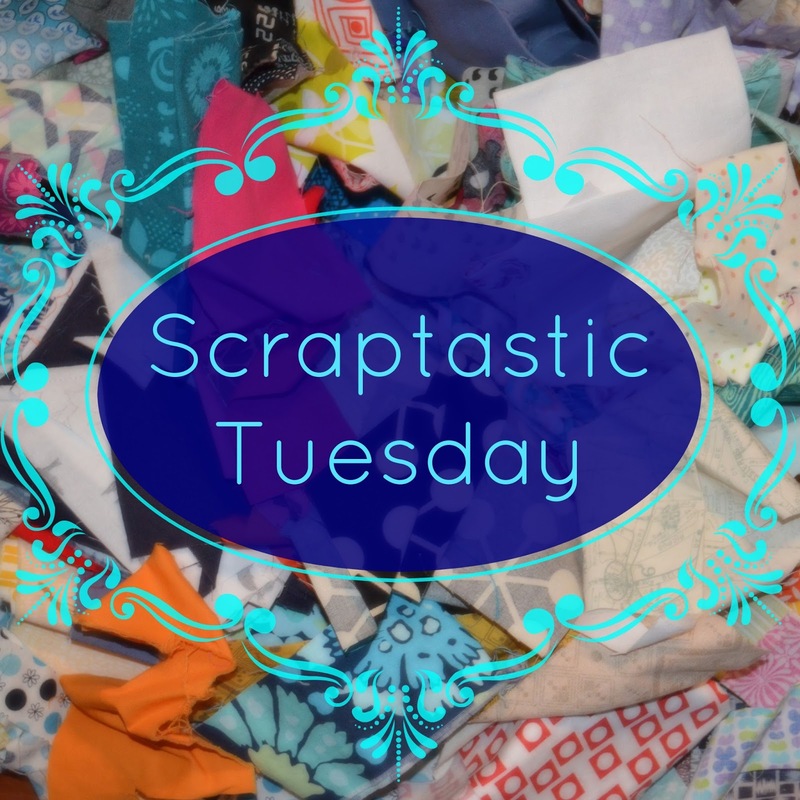 September Scraptastic Tuesday - We're back, join us this month! My fantastic partner, Nicky from Mrs. Sew and Sow has been very patient with me. The reasons for the absence of Scraptastic Tuesday in July and August, and worse, the delay in announcing winners for May and June, lies with me. So, first, we are back and we sure hope you will share your scrappy projects, completed or in progress with us this week. I am betting that lots of you have something to share as it has been a while since the last link up, although remember we want just one link up per person. Next, why the absence? Nothing terrible has happened, no horrible illnesses or worse in my family or friends. No natural disasters affected us personally either. Just many things came together to make me step aside from this space and my quilting community. I also stopped quilting and sewing. Family, my day job, circumstances, world events, moving house, and other's needs just took up all of me. I often refer to this situation as "I have no more skin". Just not enough of me to go around. But, generally when life hits me with a lot of things, I have been able to use quilting and sewing and this lovely community as a peaceful space in the loud noise of the rest of my life. This time, it turned out that I needed to step away and so I did. Now, having spent time away, and then moving back to my creative pursuits by focusing on knitting first, which is my first passion, I have thought hard and I miss my quilting space. I miss the community of the quilters, the sharing of ideas, the patterns, the colours, the ups and downs of the process, the inspiration and the opportunity to make. I miss this blog, I miss the time on instagram, I miss all of it. So, here we go, please join Nicky and I as we get back to the sharing of scrappy projects on Scraptastic Tuesday. We are going to continue as we did, with the link the second Tuesday of the month for a week, with prizes from lovely sponsors. We will do some talking about whether some improvements are needed for next year, and if you have preferences feel free to share them. The prizes for the September link up will be awarded next week after the link closes at 10 pm MDT on Monday September 19. But we are also catching up on the May and June prizes. For the winners, you can expect an email from me today asking you to confirm your email and giving me permission to share you email with the sponsor. Then tomorrow or Thursday, you will get an email to you and the sponsor connecting you with the prizes. The link is open until Monday night at 10:00 pm MDT. We will announce the winners next Tuesday. PS, there will be quilting here regularly again. I have lots of stuff to catch you up and I am working on new things again too. I am also very pleased you are back. Thanks for organising! Totally get not having enough to go around. It is wonderful that you are back and I sure can understand that there was no more skin left to stretch! Glad you're back! Everybody needs a break once in a while, it's good you took one when you needed it! You moved house again? Are you still in Lethbridge? Welcome back! I'm sorry to hear you were needed outside of the quilting space on the internet but I do like your phrasing of "I have no more skin". I've often heard it as being "out of spoons." I had a similar feeling this summer so I started an mindless, scrap piecing project. It saved my sanity and I'll be linking it up because it's all scrappy! Be well, and welcome back.